Now that USB C connectors start to become more and more accepted you of course want a flash drive you can use in your new computer or phone. But what about using it on your old computer? 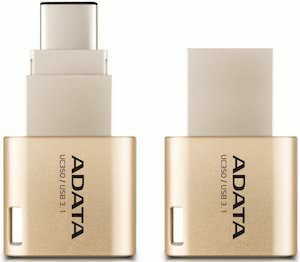 No worries ADATA got yo covered because this flash drive offers both the new USB C connecter and a classic USB type A connector all in a small thumb drive. And you can get this USB 3.1 flash drive in many sizes so that you can get the flash drive size you want and have the flexibility anyone would like. Come check out this this Dual Purpose USB Flash Drive.